The word Cherokee is believed to have evolved from a Choctaw word meaning "Cave People." It was picked up and used by Europeans and eventually accepted and adopted by Cherokees in the form of Tsalagi or Jalagi. 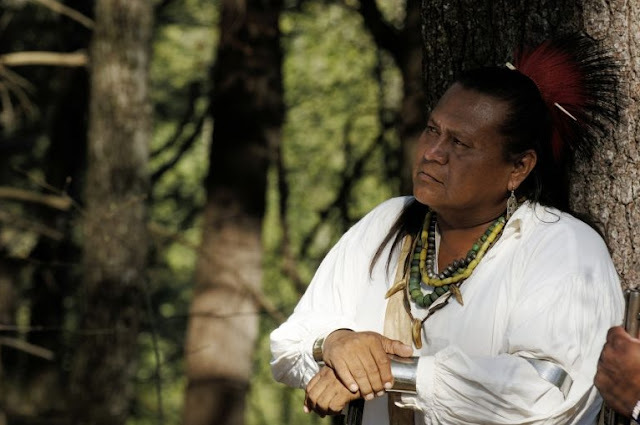 Traditionally, the people now known as Cherokee refer to themselves as aniyun-wiya, a name usually translated as "the Real People," sometimes "the Original People." 1-Who were the Cherokee princesses? The Cherokee never had princesses. This is a concept based on European folktales and has no reality in Cherokee history and culture. In fact, Cherokee women were very powerful. They owned all the houses and fields, and they could marry and divorce as they pleased. Kinship was determined through the mother's line. Clan mothers administered justice in many matters. Beloved women were very special women chosen for their outstanding qualities. As in other aspects of Cherokee culture, there was a balance of power between men and women. Although they had different roles, they both were valued. 2- Did the Cherokee live in tipis? The Cherokee never lived in tipis. Only the nomadic Plains Indians did so. The Cherokee were southeastern woodland Indians, and in the winter they lived in houses made of woven saplings, plastered with mud and roofed with poplar bark. In the summer they lived in open-air dwellings roofed with bark. Today the Cherokee live in ranch houses, apartments, and trailers. 3- What was traditional Cherokee dress? Did they wear headdresses? The Cherokee have never worn feather headdresses except to please tourists. These long headdresses were worn by Plains Indians and were made popular through Wild West shows and Hollywood movies. Cherokee men traditionally wore a feather or two tied at the crown of the head. In the early 18th century, Cherokee men wore cotton trade shirts, loincloths, leggings, front-seam moccasins, finger-woven or beaded belts, multiple pierced earrings around the rim of the ear, and a blanket over one shoulder. 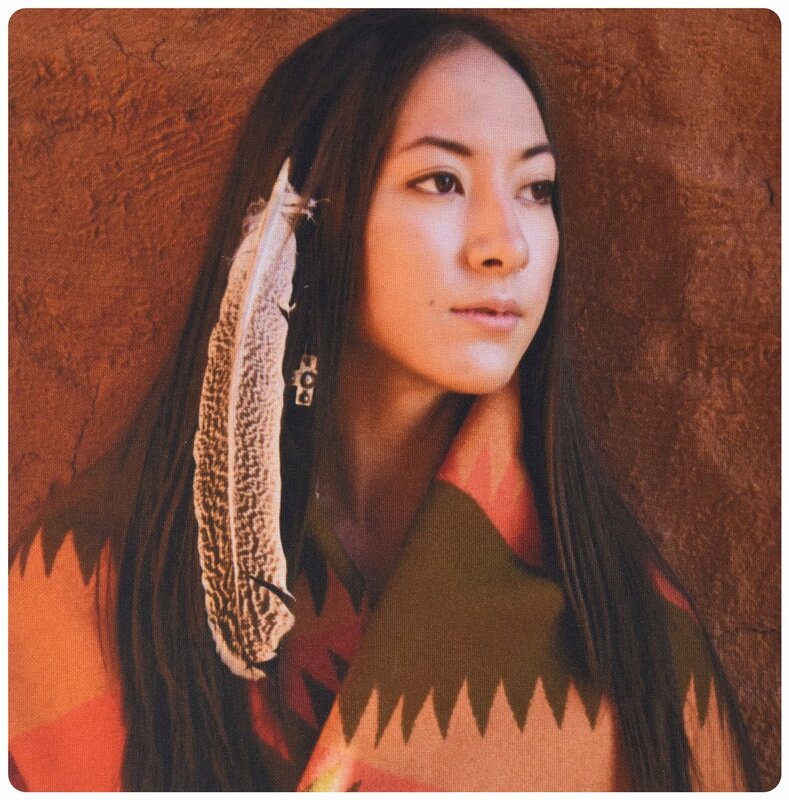 At that time, Cherokee women wore mantles of leather or feathers, skirts of leather or woven mulberry bark, front-seam moccasins, and earrings pierced through the earlobe only. By the end of the 18th century, Cherokee men were dressing much like their white neighbors. Men were wearing shirts, pants, and trade coats, with a distinctly Cherokee turban. Women were wearing calico skirts, blouses, and shawls. 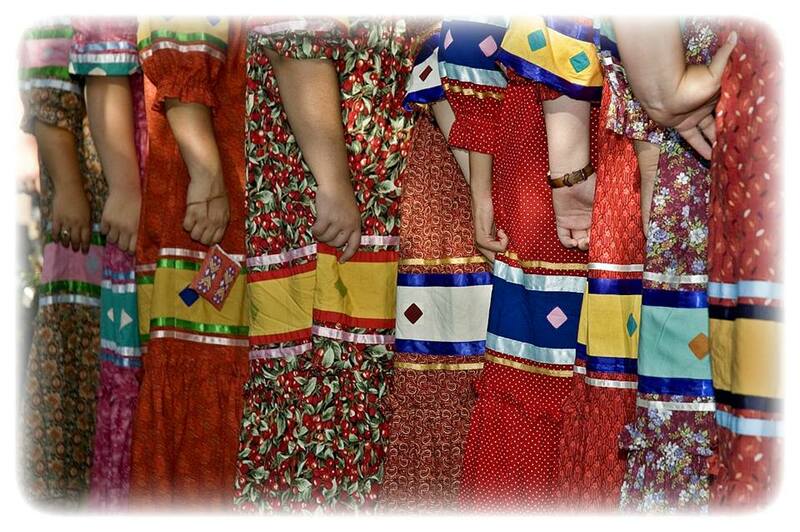 Today Cherokee people dress like other Americans, except for special occasions, when the men wear ribbon shirts with jeans and moccasins, and the women wear tear dresses with corn beads, woven belts, and moccasins. 4- Do the Cherokee live on a reservation? The Cherokee do not live on a reservation, which is defined as land given by the federal government to a tribe. The Eastern Cherokee own 57,000 acres of land which they bought in the 1800s, and which is now owned by them but held in trust by the federal government. This land, called the Qualla Boundary, is mostly woods and mountains in western North Carolina, adjacent to the Great Smoky Mountains National Park. 5- How did the Eastern Band escape the Trail of Tears? The Eastern Band of Cherokee Indians is descended from Cherokee people who had taken land under the Treaty of 1819 and were allowed to remain in North Carolina; from those who hid in the woods and mountains until the U.S. Army left; and from those who turned around and walked back from Oklahoma. By 1850 they numbered almost a thousand. Today the Eastern Band includes about 11,000 members, while the Cherokee Nation in Oklahoma claims more than 100,000 members, making the Cherokee the second largest tribe in the United States. 6- Do the Cherokee people want to be called Indians or Native Americans? The legal name for the Cherokee people in North Carolina is: "The Eastern Band of Cherokee Indians." Because "Native American" can refer to anyone born in America, the North American Indian Women's Association recommends using the term "American Indians." 7- What is the Cherokee government, and do the Cherokee people receive money from the federal government? The Eastern Band of Cherokee Nations is a sovereign nation within the larger nation of the United States. The Eastern Band is governed by a Principal Chief and a Vice-Chief and a tribal council made up of twelve members--two representatives each from six townships. These are all elected democratically. Voter turnout at the last major election was 70%. Tribal members also vote in state and national elections. The tribe pays for its own schools, water, sewer, fire, and emergency services. 8- Do Cherokee people still practice their traditional culture? Cherokee arts and crafts are still practiced: basket-weaving, pottery, carving, finger-weaving, and beadwork. 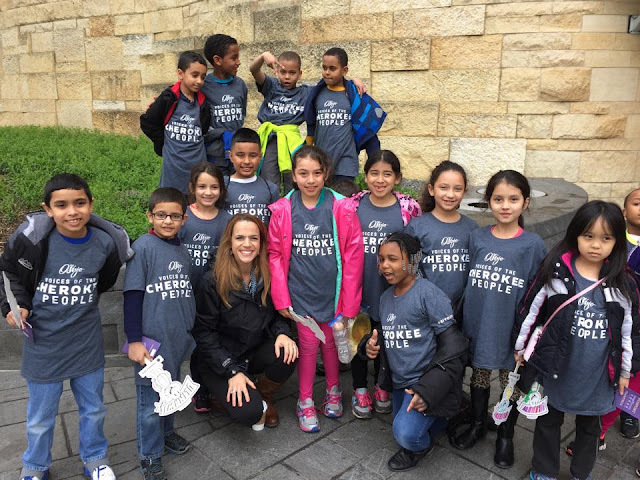 The Cherokee language is spoken as a first language by fewer than a thousand people and has declined rapidly because of the policies of federally operated schools. However, since the tribe has begun operation of their own schools, Cherokee language is being systematically taught in the schools. Traditional Cherokee medicine, religion, and dance are practiced privately. Responses to "8 Truths About "Cherokee" Everyone Should Know"
Of course, out of necessity, this is a short article. If you really want to know more there are tons of good books on both the Eastern and OK nations. I have been to both, although my family is Eastern. Both have fascinating museums and many other things to see and do. Worth the trip if you're interested. Thank you that was very interesting. I would like to know more about your tribe, how your children are raised and educated, every day life. My grandfather was Cherokee and I have always been interested in the Cherokee culture. So this article was very interesting to me. I have visited the museum in Ok. and found it very interesting. I would love to learn more. I was always told by my Elders that tsa la si (Cherokee) means Fire People, becuase our skin would turn red like a hot ember of coal. And we did at one time lived in caves, and we are a principle people, we voted in our leaders. Thank you for this, it was very interesting to read. I remember visiting Cherokee, NC when I was a child and going to the museum with my parents as my mother believed her grandmother to have been half-Cherokee (although there were other possibilities given where she lived), though we never found out as she was not allowed to speak about it by my great-grandfather. I really do not know where to start with this. My grandmother was full Cherokee. She was a big influence on me as a child to adulthood. I guess with reading how strong and powerful the women are she was the same. My grandmother taught me that trait. Strong and independent. I have a question if somebody would respond back. Paths of Destiny or Destiny Paths and if they are still in existence? Like to know more, the locations and possibly pictures. Ive inquired about this topic due to numerous dreams about this place. Thank you! Very Cool, My Ancestor's are both Eastern And OK based. Although I am from BOth Orig eastern I can only be in one Band. I have ancestors who were Cherokee, but I don't know from where they came. My great-grandmother died before I had a chance to inquire and no one else seems to be able to tell me. I have always been fascinated with Cherokee medicine and culture. I visit Cherokee, NC several times a year. I don't live far from...I live in Hickory, NC. Very interesting article. Thankyou for this informative article. I am 1/4 Cherokee on my fathers side. I am excited to learn about my Cherokee heritage. I am wondering if anyone knows about the woman in the photograph. I was reading this article trying to learn a little more about my heritage,and she looks exactly like my mother. The lady in the picture is Mary Wells. 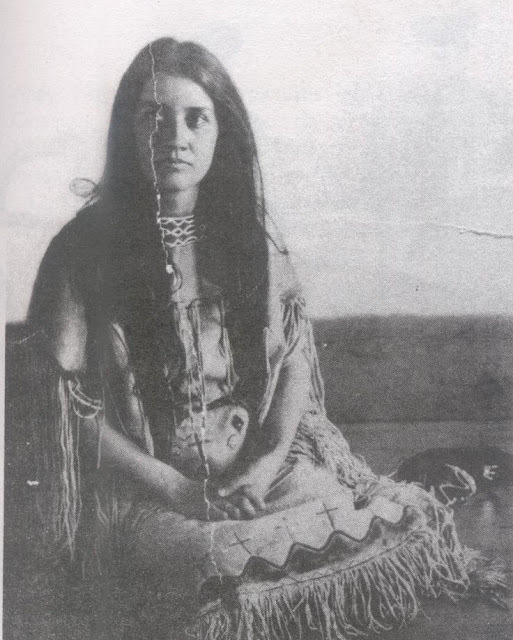 She was a Cherokee Princess and was my great grandmother x3. With a feathers in my hair. What does 1 feather mean? Anything? There were no Cherokee princesses. She might have been your grandmother but not a princess. She was a very beautiful woman with traditional Indian hair and features. Both of my grandmother's were Cherokee,I have been to Cherokee NC.when I was young.Thanks for the info on our people. In Tahlequah we live on a rez. This was implimented by the trail of tears. Never forget. Quite a bit of European and African blood with the Cherokee. They were a tribe of refuge for many to the point that Cherokee blood lines are watered down by intermarriage. They are true Americans. Thank you so much for all the info.i been trying to learn about my ancestors. I find bits a pieces of info and hoping all the bits and pieces add up one day. I want to learn the Cherokee language and medicine. My maternal grandmother was part Cherokee and my maternal grandfather was full blood Cherokee.... I would love for me and my son's to learn more. We have our roll numbers but don't know how to go about learning the language and medicine. Hallo ich würde gerne mehr über die junge Frau erfahren.Sie sieht genauso aus wie ich als ich jung war. Meine Urgroßmutter war eine cherokee.mein vater in Louisiana geboren.kann mir irgendjemand helfen? I always hear of people saying their grandmother (x1, x2, x3, so on) was a Cherokee Princess. I also hear,quite often, there was no such thing as an Indian princess., which is true. But I have some interesting information that may explain ... I have been doing some research of my ancestors. (My maiden name is "Ward"), and I think I may have found where this misconception has originated. Nanyehi (Cherokee: ᎾᏅᏰᎯ: "One who goes about"), known in English as Nancy Ward (c. 1738 – 1822), was a Beloved Woman and political leader of the Cherokee. She advocated for peaceful coexistence with European-Americans and, late in life, spoke out for Cherokee retention of tribal lands. She is also credited with the introduction of dairy products to the Cherokee economy. I have no idea why they would write "princess" on it. But I wonder if that is where the idea came from and has been passed down for generations. ....Just food for thought.